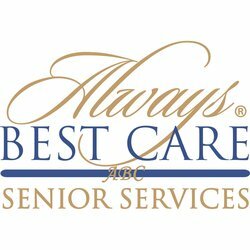 Always Best Care of Michiana, Indiana offers non-medical home care and assisted living placement services for the seniors in our community. We are passionate about helping families in the Michiana region receive the care that they need to help better the life of their senior loved one. With in-home care services, seniors have the opportunity to continue living life in their own home, a place where they undoubtedly built long-lasting memories. Seniors cherish this kind of care, and feel more comfortable as they age. Home care professionals like those from Always Best Care are able to help seniors with daily needs, both in and out of the house. Assisted living facilities present another option of care, and with our trusted partners, Always Best Care has the ability to find a facility that meets your senior&apos;s needs, and arrange a consultation with that facility free of charge. We hope that you will schedule your free care consultation today, so that we can sit down with you and your senior to discuss his or her needs at length. We look forward to meeting with you soon!.